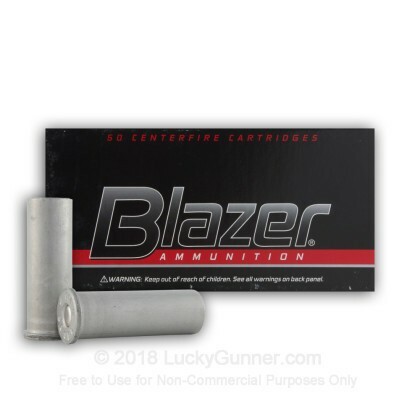 This ammo by CCI Blazer is ideally suited for target practice with your 38 Spl revolver. The hollow base wadcutter loaded into this cartridge features a flat base which leaves clean sharp lines for easy scoring. Additionally, the hollow base helps allows the gas pressure to push evenly against the projectile to ensure solid contact with the rifling of the barrel to ensure tight groups. 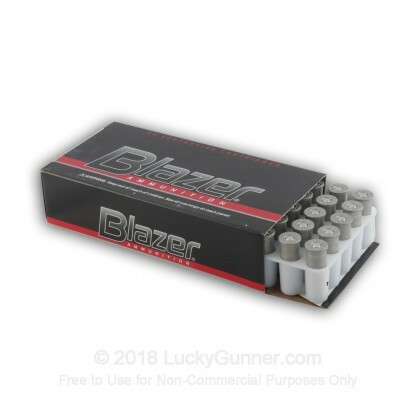 This ammo features aluminum cases which are not reloadable but do help to lower the cost of producing the cartridge as aluminum is less expensive than brass and for the non-reloading segment of the market can offer great reliability for a little less dough. This product is non-corrosive and non-reloadable and is made in Lewiston, Idaho. 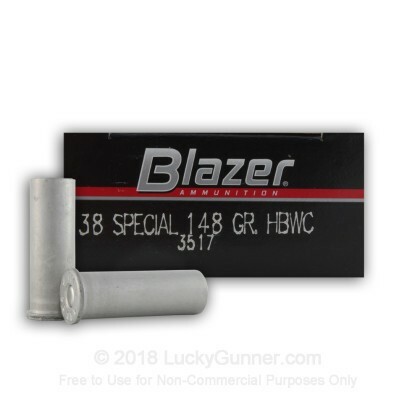 have used this blazer brand b4 works just fine for target pratice. no problems I can see.